Nowadays, the world has developed that we are now in the era of the digital wallet. Despite this fact, a lot of men still prefer carrying cards, money and much more in their wallet. Some of us see it as an easy way to access funds anywhere you go. Just like any other investment we have, our wallet is also important. It is one thing to choose the one with enough space to house your essentials; it is another thing to purchase a wallet that is fashionable and beautiful. If it is fashionable enough, it will make you look like a man in charge. For a wallet to be fashionable and attractive, there are contributing factors. The color is the basic factor. This might bring up a question like what color should I go for? You don’t need to stress your brain thinking of the answer, just keep reading on. Wallets come in different colors. The most common colors among men are black and brown. There are some other colors such as dark blue, silver, gray, yellow, white, gold, red, brown and much more. Choosing the best color for you might seem difficult, and that is what this article will tackle. We are going to show you 3 tips choosing a suitable wallet color. If you are planning to purchase a wallet, you need to consider your wardrobe. What are the common colors in your wardrobe? Some people forget that it is important to dress in a way that everything complements each other. The color of your wallet can play a major role in your outfit. Of course, we want to dress the best but combining colors might be a little bit difficult. 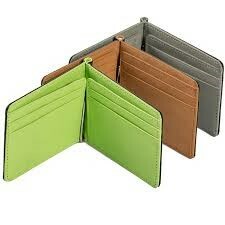 For men, it is advisable you choose a wallet color that goes along with the color of your shoes or belt. Make sure the color of your wallet and outfit doesn’t clash if you are wearing a colorful outfit. If you are not sure, go for black. Such a wallet will go with all your clothes. Most of the time, it is advisable you go for what you like. What is your best or favorite color? This is a question only you have an answer to. Choices are different. No one can decide for you. If you choose a color, you don’t like you might end up being disappointed. It might also lead to extra spending. Remember; go for the color that pleases you and not others. Since wallets are used every time, there is a high possibility of it getting dirty. If you are someone that works in a place where things can get easily messy, you should consider a wallet with dull color. Bright colors can get stain easily. Sometimes you can use the nature of your job to choose a suitable wallet color for yourself. 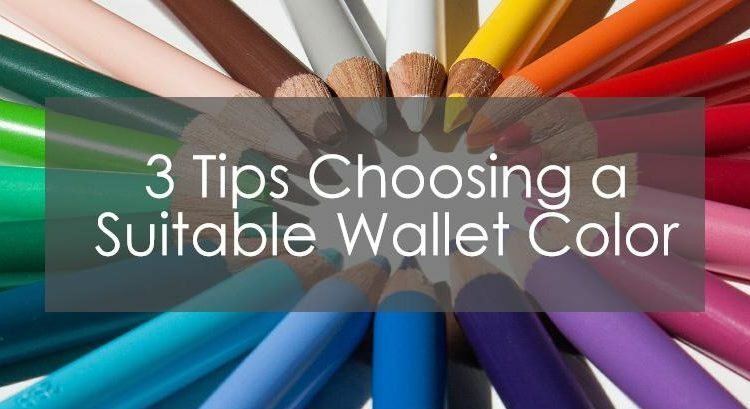 With our 3 tips on choosing a suitable wallet color, we believe you should not have a problem selecting the best color of wallet that works best for you. Make the right choice, and you will not be disappointed. However, if you wish to contribute to the men’s world, use our comment box and tell us your view.